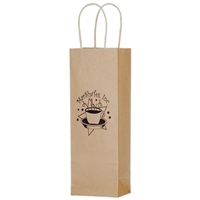 Make an impression with this modern 100 GSM non-woven polypropylene single bottle wine bag. 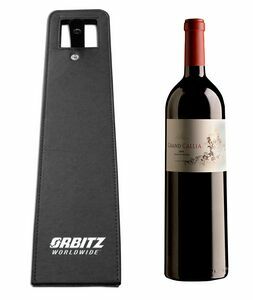 With a simplistic sleeve-like design, this minimalistic bag accommodates wine bottles of various sizes. Its large front die-cut window gives view to the bottle making this an eye-catching as well as practical and durable bag. Making a positive impression on your customers as a winery or other such store is very important. A good impression means your customers are happy with the service they have received, which makes them more likely to return to buy more of your products. Experts have various tools and techniques to increase customer satisfaction and although their efforts are very important, they might overlook the very simple things. If you put yourself in your customers' shoes for just a minute, you will see that one of the difficulties they have with your type of product is carrying it home. 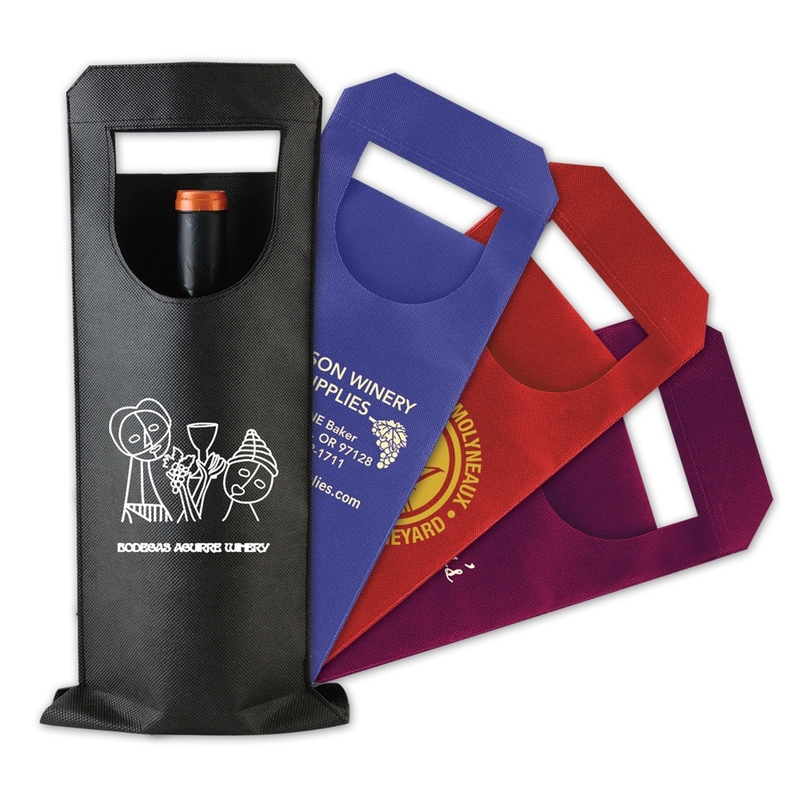 Hence, if you want to increase customer satisfaction very quickly without investing a huge amount of money, all you really need is our reusable non-woven single bottle wine bag. 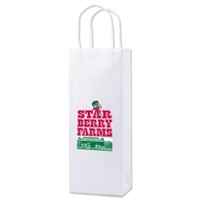 Not only does this bag allow your customers to carry their purchase home safely and securely, it also jazzes up the presentation a bit. 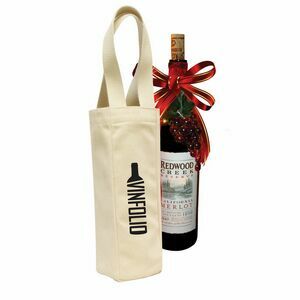 Hence, if they were to give the bottle as a gift, it is already presentable when placed in this wine bag. The design is minimalistic, meaning it doesn't use any fancy frills or other such things. Instead, it has a modern, sleek look and is made from 100 GSM non-woven polypropylene. The bag looks like a sleeve and keeps the bottle perfectly safe. 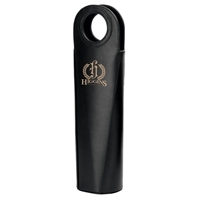 It is able to comfortably hold bottles of various sizes. Furthermore, it comes with a large front die-cut window, which your customers can use to showcase the label of the bottle. The bag is also very durable, meaning they can use it again and again. Have your company logo printed on the bag and you have an instant advertising tool.